SparkPost’s messaging policy mandates that any mail sent through our service other than transactional email or legally mandated messages must be opted in by the recipient. You may wonder why this is so. Our goal is to ensure that your emails are accepted everywhere, or as close to that as possible. When people have not opted in, they are more likely to complain, which can cause ISPs to block your email—even to engaged recipients. Demanding this of all our clients is also how we preserve the very high visibility and deliverability of email sent via SparkPost managed IPs and client domains. The Canadian anti-spam law (CASL) sets out very clear requirements defining what it means to be “opted in” in Canada. Many senders don’t know which of their recipients are Canadian, so adhering to this high standard for everyone on the mailing list errs on the side of caution. The increasing prevalence of these types of laws makes it imperative to collect auditable details about opt ins at the same time you collect email addresses and other information about recipients. If you’re opting people in via a form, you want to keep a copy of the form noting the URL where somebody opted in, the timestamp, and their IP address. That’s helpful when confronted by a service provider compliance team presenting complaints of abuse levied against your domain. If we can say that the person signed up on this form at this date via this IP address, problems go away fast. Many companies are not prepared and an answer of “we think their email address came from an event that we did two years ago” can cause doubt and trouble with a service provider, and that hurts your reputation as a sender and as a SparkPost user. It can also place your account in jeopardy. 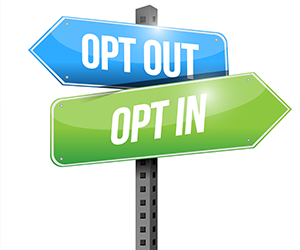 Most companies are not keeping very good auditable records of opt ins, in part because they have so many avenues through which a person may opt in. The longer a company has been in business, the more chances they have had data troubles at some point. Things get messy with time, which makes it difficult to respond when problems arise. That could spell legal trouble or difficulty with service providers, but it’s almost certainly a recipe for hindering a company’s ability to successfully send email.